I’ll admit, when I first heard of Saint Anything, I totally fangirled. I’ve been a huge Sarah Dessen fan for quite a few years now and I just couldn’t wait to see what she had come up with in her newest release. 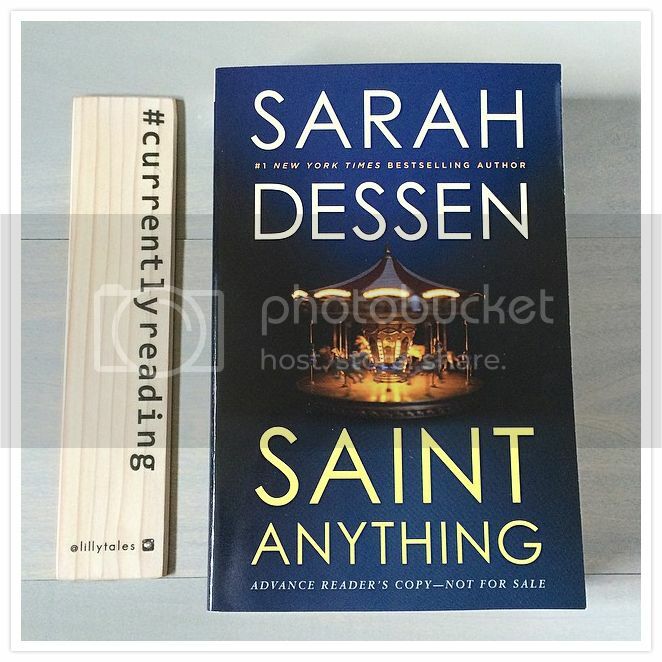 Saint Anything has definitely earned a spot as one of my most favorite Dessen books to date. I can’t wait to read it again! Sydney is the girl that no one ever sees, not even her parents, it seems. She’s always been well hidden in her charismatic brother Peyton’s shadow. When Peyton’s reckless behavior lands him with a jail sentence, Sydney is on her own more than ever before. She leaves the private school that she attends in order to help her family financially, but also hoping to find anonymity at a new school; new friends who don’t know of her brother and his reckless past. There she meets Layla and her brother Mac, and things in her life slowly start to come together. The Chathams were such a lovely family. Mac and Layla were wonderful and ended up becoming great friends to Sydney and that was just what she needed in her life, especially considering that her own family was a complete mess. The Chathams took Sydney in and showed her what a family really should be, and I loved them for this. Their family was so very different than Sydney’s. A lot of the setting in the book took place in the Chatham family pizza parlor, and I loved this so much. It sounded like a great place to be, and it made me want to run out and buy pizza the whole time I was reading the book. The descriptions were insane! I could almost taste the pizza! 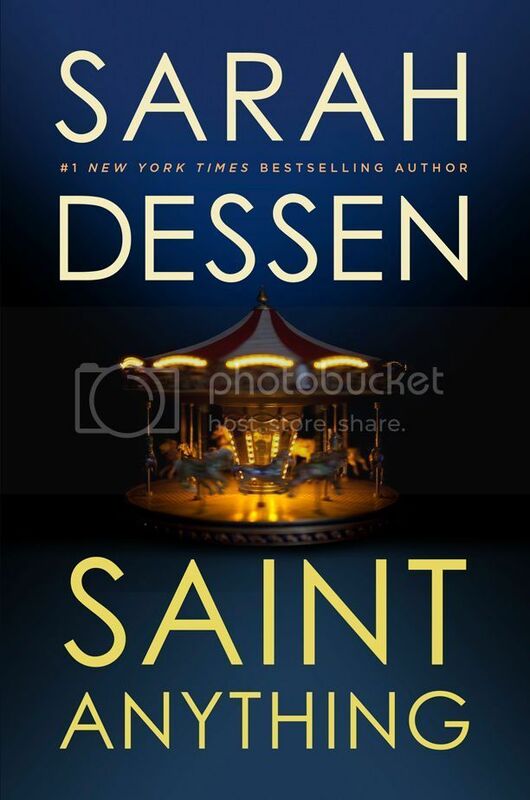 Saint Anything was a bit different from most of the other books I’ve read by Dessen. While it has more than a few light-hearted moments and some romance, it also deals with some serious issues as well. Sydney had more burdens on her shoulders than any teen should have to bear, and I think a lot of young adults will be able to relate with the things that she goes through in the story. Overall; I really enjoyed Saint Anything. The characters, setting and storyline all blended together so well to make such an intriguing story. I couldn’t put this book down. It’s a welcome addition to my already massive collection of Sarah Dessen books. If you decide to check the book out, I hope that you enjoy it as much as I did! Great review, Christy! I am glad you enjoyed this one! I did as well! Although it wasn't my favorite Dessen, I still really enjoyed it. I loved the Chatham family and the pizza cravings were pretty intense when I read this book! :) I agree with you that many teenagers can probably relate to this story. I'm looking forward to reading a little bit of a heavier book from Dessen. It's been years since I've read anything from her, though! Can't wait to read about the Chatham family, they sound really great!